When it comes to the outdoor areas of our home, there is often a focus on organic gardening and on using natural, repurposed, and sustainable materials to dress up or entertain in spaces. However, it is important to remember that lawns always need to be taken care of, too. After all, your lawn is likely one of the largest components of your back and/or front yard, and needs to have attention lavished on it just like you would on your flowers, shrubs, and trees. If it is time for you to get your lawn looking its best, read on for some top tips you can follow today to care for it naturally. One of the prime ways to get your lawn looking lush is to feed it. Like any other living organisms, grass does better when it receives nutrient boosts. When you mow your lawn, you typically end up removing key nutrients in the process, so it is important to replace them if you want to see good growth. It is recommended to add fertilizer to your lawn at least once a year, although it is best to use in both spring and autumn (and other times as you think it is required). If you want to stick to a natural regime though, try to steer clear of chemical-filled feed, particularly because so much of it can end up not just in your yard but also running off into rivers, lakes, oceans, and groundwater. 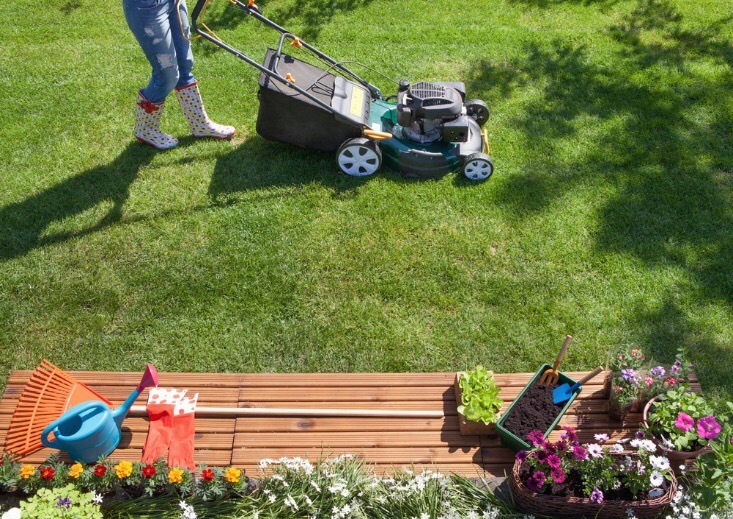 There are numerous types of lawn fertilizers you can choose from. If you want to reuse elements you already have in your yard, consider leaving some clippings on your lawn occasionally, or spreading some of your compost around. It is often best to choose an organic lawn fertilizer for optimum lawn care, because that way you will know your grass is getting all the essential nutrients it needs. For example, make sure any product you purchase contains ingredients like potassium, nitrogen, and phosphorous. Before you buy or spread around any fertilizing agents though, make sure you read the labels. The amounts you need to use can vary quite substantially from product to product, plus there are also products which are best suited to particular types of grasses. The amount you need to put on your lawn will also be affected by the quality of the underlying soil in your yard, so it pays to test this. Another prime way to care for your lawn is to mow it regularly. Even in times where your grass isn’t growing particularly quick, it is still good to trim it back as this can help to thicken it up. You will find that mowing often, but only taking off a small amount of grass at a time, is the best option to help your lawn thrive. This is especially true of the hot months of summer when leaving some more length on the blades can help the grass to withstand dry periods. During winter, you can crop off more because this will give more sunlight the chance to get down to the crown of the grass, but remember never to cut off more than a third of the length in any one mow. Another job that lots of people don’t complete enough is raking up fallen leaves and other debris that’s covering the lawn. This is particularly important during and after fall, when you can end up with leaves everywhere. 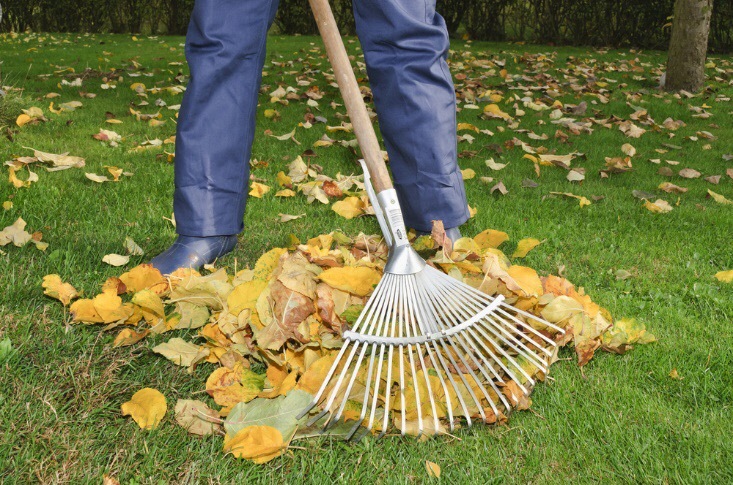 Your grass will thank you for getting rid of this covering since it can actually be smothered by leaves when they get wet and stick together to form a mat. This occurrence not only makes it hard for water, fertilizer, and sunlight to get through, but also makes the spread of disease around your lawn more likely. Aeration is also a key task and is best done at least once, if not more, every year. When you aerate your lawn, you punch holes into the soil underneath the grass and extract out the plugs of dirt. This allows more oxygen, water, and nutrients to reach down to the roots of your lawn. While you are no doubt conscious of wasting water, it is necessary to help your lawn to hydrate throughout the year, particularly during times when it hasn’t rained for quite a while, and/or when your location has been experiencing very high temperatures. To decide if it is time to do some watering or not, take a close look at the grass around your yard. If you can see some blades wilting or starting to curl up, this will likely mean the soil is drying out. As well, if you notice your lawn has taken on a bit of a blue-gray tint, this is another sign it’s parched.